ONE TOWEL GRIP PER PACK. 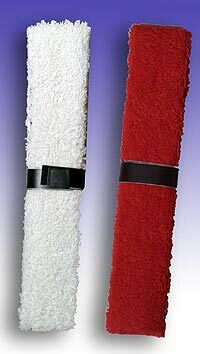 100% Cotton Terry Cloth Grip great for absorbing moisture. Available in Black or red.